Play these Flash or HTML5 based online slot machine games provided by Euro Games Technology at Top Free Slots. No download required to play the games - just click on the image and wait for the game to be loaded in your browser window. You can play all these Euro Games Technology Slots for free or try your luck for real money at sponsored online casinos. You can play classic slots or 5 reel video slots with multiple lines of payout, exciting bonus features, and wild and scatter symbols to increase your winning potential. 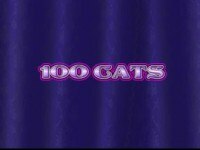 rr 100 Cats is a 5-reel video slots that utilizes the Euro Games Technology software – a popular slot provider in USA and Europe. The â€˜100' in the title stands for 100 paying lines that are a fixed feature, and their..
Rise Of Ra is a 15 payline online slot machine from Euro Games Technology. 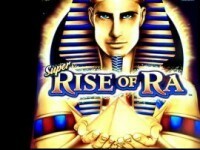 rr The Rise of Ra slot game is an Ancient Egypt-themed casino, manufactured by ETG. It isn’t the only one in the world, as its theme.. This is a 20 payline slot machine developed by Euro Games Technology. rr Euro Games Technology (EGT) is a company that gave us some of the most innovative and exciting online slots. 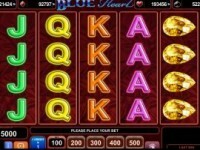 Although Forest Band slot..
Blue Heart is a 100 payline slot machine game created by Euro Games Technology. rr Do you have what it takes to be a bounty hunter?Â PlayÂ the Blue HeartÂ free slotÂ to test your bounty hunting skills. EGT developed.. This is a 10 payline online slot machine from Euro Games Technology. The sharp-minded and beautiful Cleopatra returns to the reels in the 10-payline video slot Grace of Cleopatra! 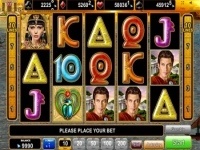 The Egyptian Queen had a lot..
Kangaroo Land is a 20 payline slot machine developed by Euro Games Technology. 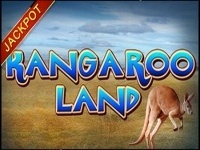 Spin the reels of the slot that takes you to the Australian outback in the land down under, the 20-payline Kangaroo Land slot machine by.. This is a 40 payline slot machine game created by Euro Games Technology. rr A classic online slot that will take you way back to the days of good old video slot machines, EGT's free 40 Super Hot slot machine..
Aloha Party is a 1024 ways to win online slot machine from Euro Games Technology. 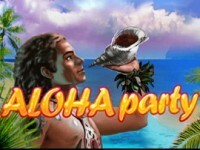 rr The free Aloha Party slot machine Â is a Hawaiian-themed penny slot and a work of EGT. It very much looks like the Amazing Amazonia by.. This is a 40 payline slot machine developed by Euro Games Technology. 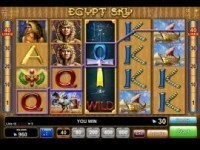 rr If you want to explore the ancient Egypt, come to play Egypt Sky free slot from ETG! This is a 4 rows and 5 reels slot with 40 paylines..
Halloween is a 20 payline slot machine game created by Euro Games Technology. The Halloween season is about candy and creep shows, haunted horrors and honey drops. It`s time for you to take a trip out to go trick or.. This is a 20 payline online slot machine from Euro Games Technology. Venice is a city with streets of water, gondola`s of love, of masked theatre, architecture and so much more, and you can experience it all.. Secrets of Alchemy is a 40 payline slot machine developed by Euro Games Technology. rr Have you ever dreamt of turning anything that you want into gold? If you did, then it's probably time for you to play Secrets of Alchemy.. This is a 20 payline slot machine game created by Euro Games Technology. rr Set in the scenery of the famous Battle for Troy, described in Homer's epic tale â€œThe Iliadâ€�, the free Age of Troy is a 5-reel..
Amazons Battle is a 30 payline online slot machine from Euro Games Technology. rr Stories revolving around legends and myths are an all-time favorite because they involve legendary heroes reveling over the evil forces.. This is a 25 payline slot machine developed by Euro Games Technology. rr This EGT game is going to take you on a great adventure, as exciting as in some sci-fi movies. Two courageous explorers are traveling..
Rainbow Queen is a 30 payline slot machine game created by Euro Games Technology. rr The free online Rainbow Queen slot machine is developed by Euro Games Technology (EGT) and it consists of 5 reels and 30 paylines. With.. This is a 20 payline online slot machine from Euro Games Technology. rr Are you a fan of heroic magic? Do you dream of a day when your life will have some enchantment in it? If so, then you are going to be..
Great Empire is a 10 payline slot machine developed by Euro Games Technology. rr The Great Empire slot game, established by Euro Games Technology, is a progressive video machine that can be played online at.. This is a 10 payline slot machine game created by Euro Games Technology. rr Climb the mountain Olympus and join the gods or just try the free online Olympus Glory slot machine! The Olympus Glory slot machine..
Kashmir Gold is a 20 payline online slot machine from Euro Games Technology. rr The Euro Games Technology company is in the play for a long time now, and it stands with pride in its creations, one of them being.. This is a 20 payline slot machine developed by Euro Games Technology. rr Most of usÂ play free slotsÂ for one reason: we like dollars. We adore the idea of winning them; we like imagining we had more; we enjoy..
Gold Dust is a 20 payline slot machine game created by Euro Games Technology. rr Developed by Euro Games Technology, the Gold Dust slot machine game consists of 5 reels and up to 20Â paylines. It takes you to the.. This is a 20 payline online slot machine from Euro Games Technology. rr Imperial Wars is an online slot game developed by EGT – known for the making of progressive games. No download nor registration is..
Penguin Style is a 20 payline slot machine developed by Euro Games Technology. rr It is a 5-reel, 20 pay-line slot game developed by Euro Games Technology. It features Free Spins, Auto Play, Instant Play, Extra Bet.. This is a 10 payline slot machine game created by Euro Games Technology. rr Majestic Forest is a Â slot game developed by Euro Games Technology. It is consisted of 5 reels and 10 symbols, of which one is the Wild.. This is a 5 payline slot machine developed by Euro Games Technology. rr Having a good Zodiac sign today? Then jump into the world of free online Zodiac Wheel slot machine that is powered by the Euro Games..
20 Diamonds is a 20 payline slot machine game created by Euro Games Technology. rr The 20 Diamonds slot machine game is made by Euro Games Technology, which is an international gambling company that provides slot.. This is a 20 payline online slot machine from Euro Games Technology. 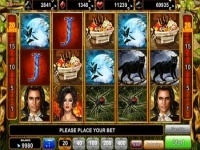 rr The â€˜Hot' slot was developed by the renowned software company, Euro Games Technology (EGT). At the first glimpse, it is an ordinary..
Frog Story is a 20 payline slot machine developed by Euro Games Technology. rr Frog Story slot machine is a progressive game by EGT. This machine is inspired by the fairy tale story about the main character becoming.. This is a 10 payline slot machine game created by Euro Games Technology. rr Developed by WMG, it is a very popular slot machine, especially in Italy. (It is also known as “Fowl Play Gold”). This fun..
Game of Luck is a 20 payline online slot machine from Euro Games Technology. rr EGT is a Bulgarian software company known for the making of progressive machines, and free Game of Luck slot is one more in a row. The.. This is a 20 payline slot machine developed by Euro Games Technology. rr The free online Dark Queen slot machine is a modern themed casino game made by EGT with 5 reels, 20 fixed pay lines, and the 4-way..
Isle O Plenty is a 9 payline slot machine game created by Euro Games Technology. rr Isle O’ Plenty is a modern free video slot developed by EGT. Explore the desert island and find the treasure while playing for.. This is a 10 payline online slot machine from Euro Games Technology. rr The Shining Crown free slot created by Euro Games Technology (EGT) company has made as another mixed-theme free online video game with..
Amazing Amazonia is a 10 payline slot machine developed by Euro Games Technology. rr The free Amazing Amazonia video slot comes from the EGT, a fairly new company in the industry. It is a classic video slot game with some.. This is a 15 payline slot machine game created by Euro Games Technology. rr Fairy tales are a common inspiration source for many gaming machines. 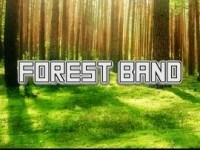 EGT was inspired by Little Red Riding Hood when creating Forest.. Fruits Kingdom is a 10 payline online slot machine from Euro Games Technology. rr If you are a fruit lover, you are definitely going to fall in love with the world of Fruity Kingdom under the watchful reign of his.. This is a 10 payline slot machine developed by Euro Games Technology. rr Free online Versailles Gold slot machine is another classic, but a special one, from EGT aka Euro Games Technology, the reliable vendor.. Witches Charm is a 15 payline slot machine game created by Euro Games Technology. rr The Witches Charm slot machine game made by EGT vendor is a 5 reel casino machine with 15 pay lines. The theme of this online video slot.. Dice and Roll is a 10 payline slot machine developed by Euro Games Technology. rr The free Dice and Roll slot machine game is created by Euro Games Technology. It is a mix of the modern and retro gameplay with 5 reels.. This is a 5 payline slot machine game created by Euro Games Technology. rr Play Extremely Hot Free slot machine by Euro Games Technology, and you can win up to 100,000 credits. This video gaming machine is a.. Ocean Rush is a 15 payline online slot machine from Euro Games Technology. rr The theme of the Ocean Rush slot game is an ocean space, inhabited by the God Poseidon and mermaids. The ambiance is shown with a lot of.. This is a 10 payline slot machine developed by Euro Games Technology. rr The Royal Secrets slot machine game is developed by Euro Games Technology (EGT) and is based on the Royal families and the insights they..
5 Dazzling Hot is a 5 payline slot machine game created by Euro Games Technology. rr 5 Dazzling Hot is a progressive fruit slot with only 5 lines and 5 reels. However, some of its features have a resemblance to modern.. This is a 10 payline online slot machine from Euro Games Technology. rr Free online Extra Stars slot machine has free play provided by EGT and has 5 reels with the maximum of 10 lines. 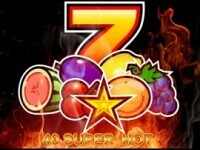 It has 4 progressive..
Lucky Hot is a 5 payline slot machine developed by Euro Games Technology. rr This gaming product by EGT sets out to do exactly what the title says: the gamble has punters get lucky and be rewarded with some huge.. This is a 3 reel, 5 payline slot game offered by Euro Games Technology and based on a traditional fruit themed slot machine that is available for play on your laptop or mobile device. Juicy Fruits such as Grapes..